The iconic entertainer claims the biotech mogul lied to the LA Times about knowing she was a stakeholder in Altor Biosciences. Iconic singer Cher filed an amended lawsuit against NantHealth Founder Patrick Soon-Shiong on Monday in an update to her claim filed against the biotech mogul in October 2017. The new suit amends the initial complaint, which claimed Soon-Shiong allegedly duped Cher into selling her shares of Altor Biosciences, a promising drug company, at a fraction of their value. According to the suit, Altor’s management hid valuable HIV and cancer research from shareholders. 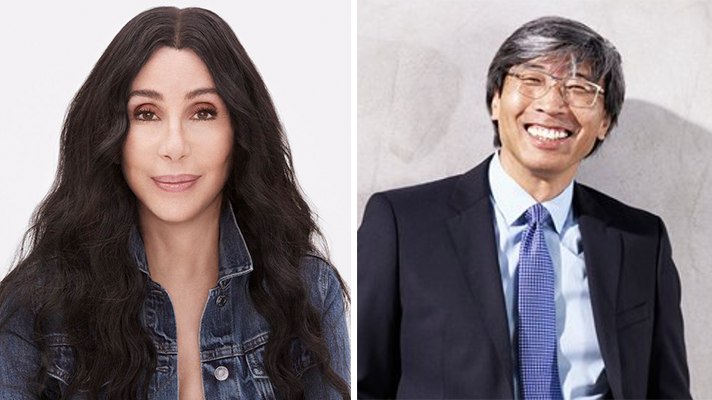 As a result, Soon-Shiong bought shares of the company from Cher and other stakeholders at a significantly lower price without sharing the company’s true value to shareholders. Two D.C. attorneys and former Altor shareholders, Adam Waldman and C. Boyden Gray, filed a similar lawsuit in June. A spokesperson for Soon-Shiong told the LA Times in October that Cher’s claims were without merit. Further, an unnamed person “close to the situation” said Soon-Shiong didn’t know Cher was a stakeholder and therefore couldn’t have approached her to buy her stock. In Monday’s amendment, Cher claims these remarks aren’t true, citing an email to support her claim. “In fact, contemporaneous email exchanged between the parties reveal that Soon-Shiong had agreed to speak with Cher prior to buying her Altor stock about whether she should sell her shares in Altor or buy more,” according to the suit. Soon-Shiong purchased Cher’s stocks in January 2016, and the suit alleges that the biotech mogul never called Cher about the sale as discussed. Further, the same LA Times piece said that Cher wasn’t under duress to sell. However, the suit explained that Cher felt concerned about being involved with a company experiencing claims of sexual harassment and securities and other frauds discovered in 2015. “Since Defendant Soon-Shiong ultimately refused to make himself available for a call, and since Cher was unaware of the apparently stunning clinical trial successes that had occurred at Altor that remain concealed unto this day, Cher sold her shares to an entity controlled by defendant Soon-Shiong,” according to the suit. Cher is demanding a trial by jury for the case. Soon-Shiong and his companies have been embroiled in controversy over the last year. A Precision Biologics stockholder filed a lawsuit in July, accusing the biotech mogul and the company’s controlling board members of wrongfully diverting capital. Further lawsuits were filed in the Spring after three damning reports from Stat and Politico that questioned Soon-Shiong’s potential conflicts of interest, nonprofit business dealings, and expenditures and questionable donations. Soon-Shiong has consistently denied all of these claims. And despite the ever-growing list of controversies, Rep. Paul Ryan, R-Wisconsin, appointed Soon-Shiong to the U.S. Department of Health and Human Services Health IT Advisory Committee last year. And he recently acquired a controlling stake in Verity Healthcare, a California health system.